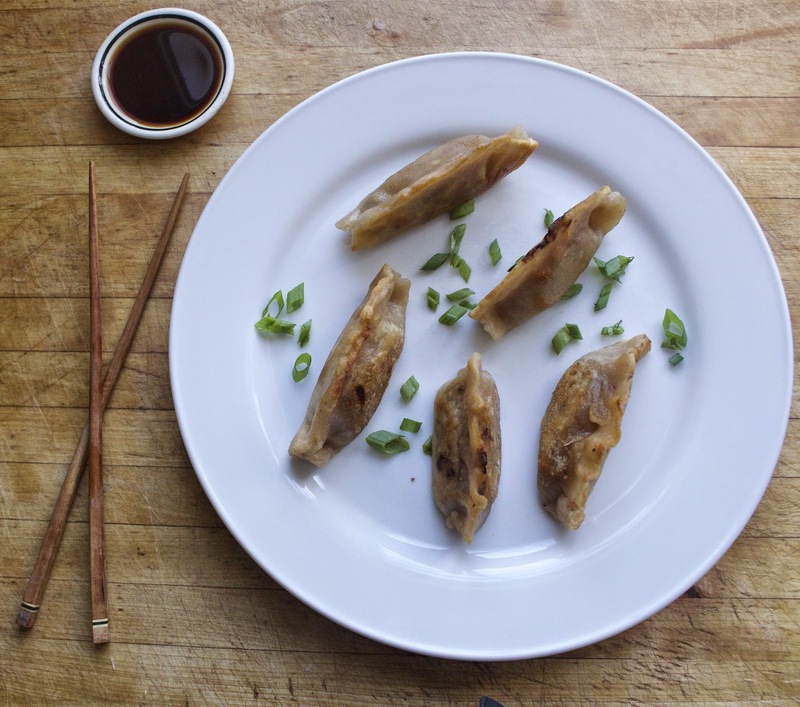 I have been wanting to make dumplings for quite some time now, and when Otto’s cassava flour arrived on my doorstep just last weekend, I knew it was just my ticket to do so. 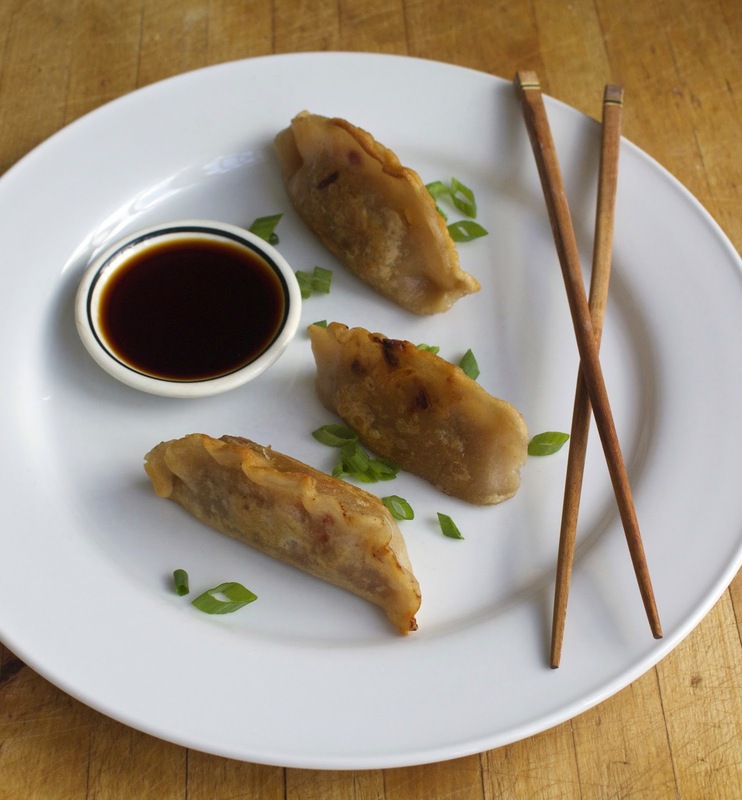 I chose to make this recipe in two stages, with the first day being when I prepared the dumpling wrappers, put them on a baking sheet wrapped in plastic wrap, and placed them in the freezer over night. Then, after cooking off my filling the next day, I removed the sheet from the freezer and allowed the wrappers to thaw for about 15 minutes before filling them with the meat mixture, and then frying. As a note, this recipe is not a deep-fry recipe per-say, but more of a searing, so there is no need to worry about not having a deep fryer. 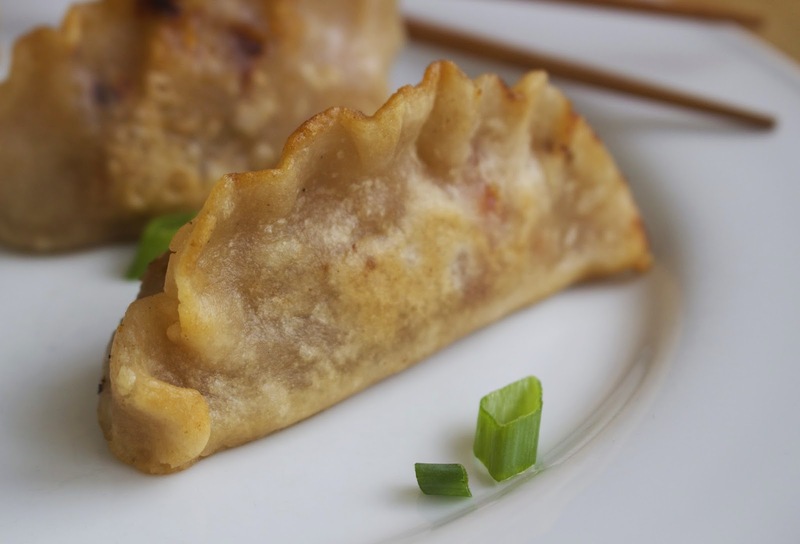 Though the process written below may seem a bit long, there truly are only four main steps; make the dumpling wrappers, cook off the filling, fill the dumplings, and cook the dumplings – that is it! If there is leftover filling, simply freeze it for later use. I served these at lunch for my mother, who insisted my brother had to at least taste one. Needless to say, he wanted much more than a small bite, and ended up loving them so much that he even asked for more, of which my mother kindly gave him some of hers (though she was sad to do so). 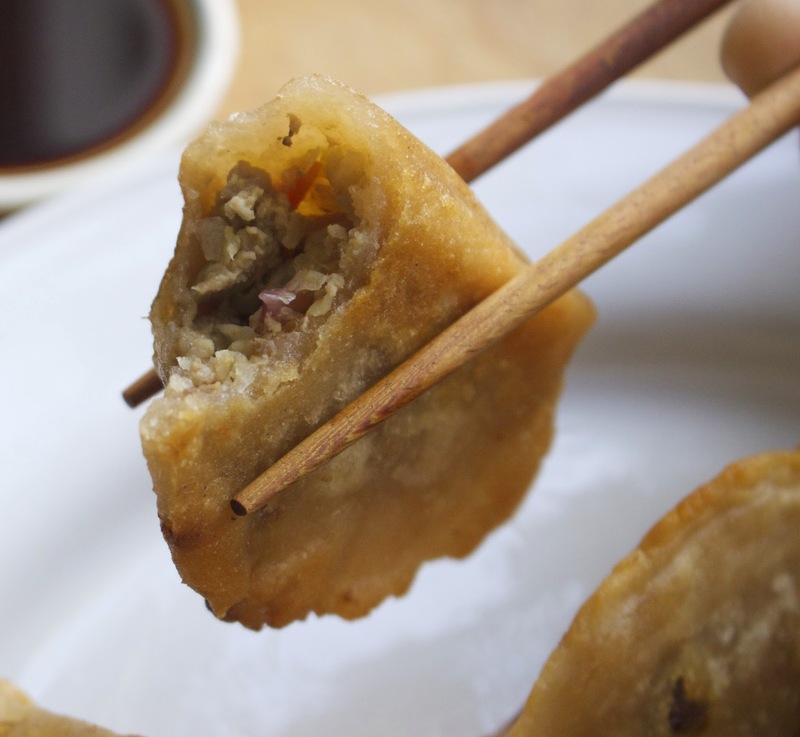 Overall, these pork dumplings were a big hit, and were described as “perfect,” with my mother now saying she wants to make the recipe on a daily basis. I also could not be more happy with how Otto’s flour worked and held together in the dumpling wrappers. Though it is supposed to replace wheat flour 1:1, I actually had to add twice the amount of water needed in a regular recipe. Besides that, the flour handled very well, had a fantastic texture, and didn’t crumble or break apart once. In the words of my family, today’s Korean pork dumplings are “so good” and both my brother and mother could have easily eaten many more. In fact, there was not even any questioning by my brother, as to whether or not they were “Paleo,” or “special” as he calls some of my recipes. Though today’s dumplings may not necessarily be an authentic Korean dish, it is from a traditional mandu that I got my inspiration. Overall, my family and I were truly ecstatic on how today’s recipe not only looked, but tasted as well. I know you will feel the same when making the recipe, so enjoy, and savor every last bite! To make the dough, combine cassava flour, sea salt, and water in a bowl with a wooden spoon until combined. 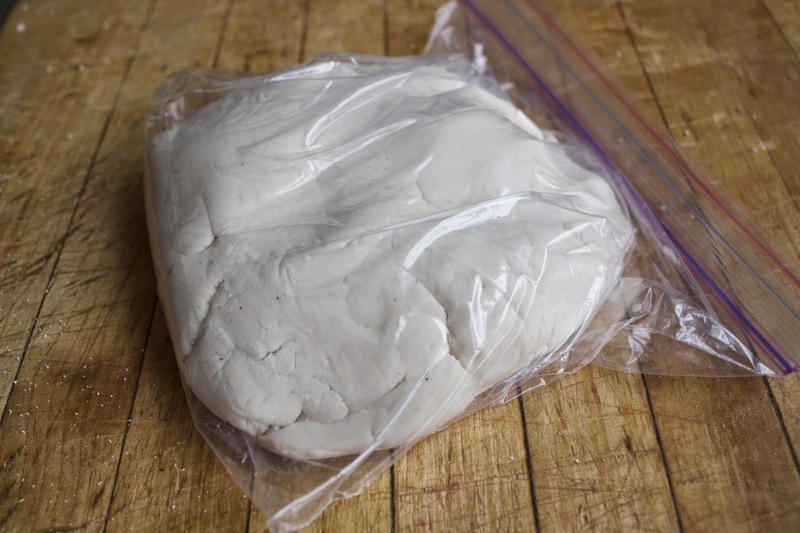 Use your hands to further kneed the dough until a ball has formed, placing the dough in a plastic bag and squeezing out all of the air, allowing it to rest for 15 minutes. 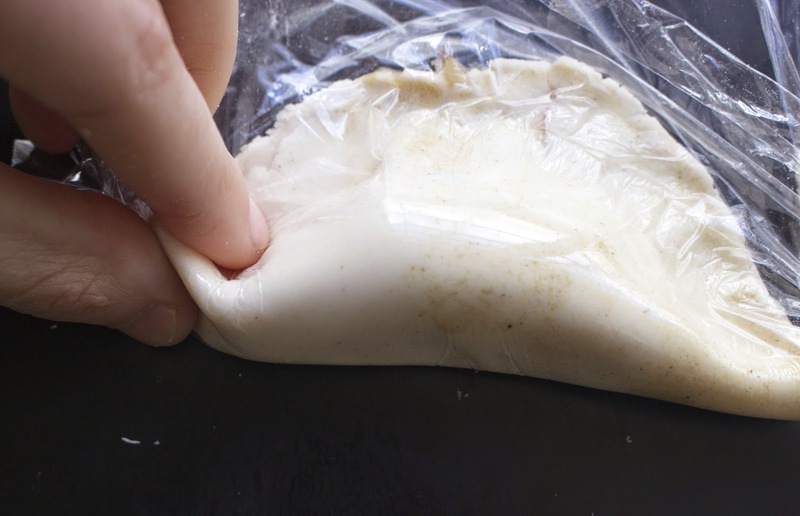 After 15 minutes, remove the dough from the bag and kneed for 5 minutes by hand until smooth, forming into a even log at the end. 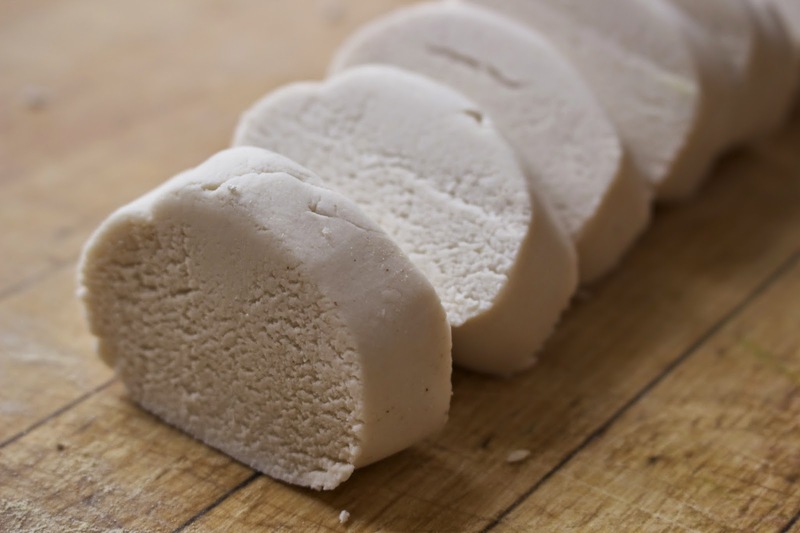 Cut log into 8 like-size pieces, and roll out to 4 inch circles on a surface dusted with extra cassava flour. (You can do this by hand or with a rolling pin). 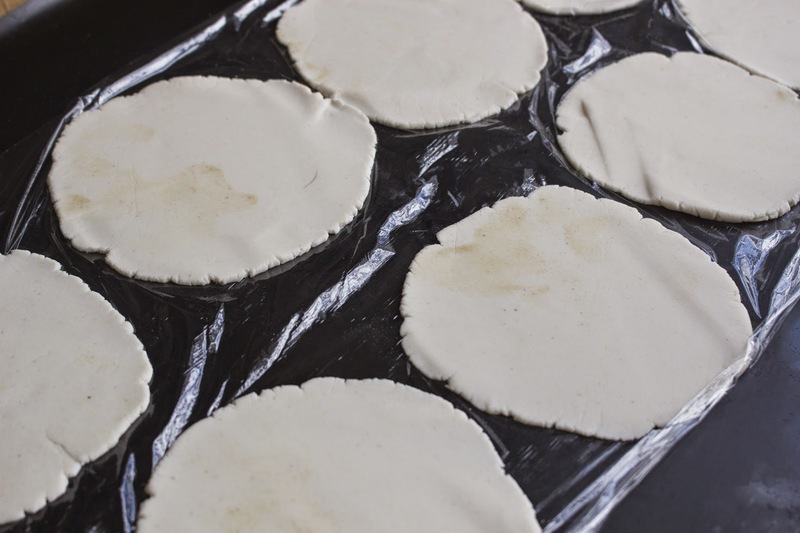 Place circles on a sheet lined with plastic wrap and place another piece of plastic wrap over them, allowing them to rest while making the filling, or storing in the in freezer for later use. To make the filling, shred cabbage with a sharp knife or in a food processor, dice carrots into small pieces, and chop green onion. Combine lime juice, garlic powder, ground ginger, honey, and fish sauce in a small ramekin and set aside. Heat 2 tbsp lard on medium-low heat in a large skillet. 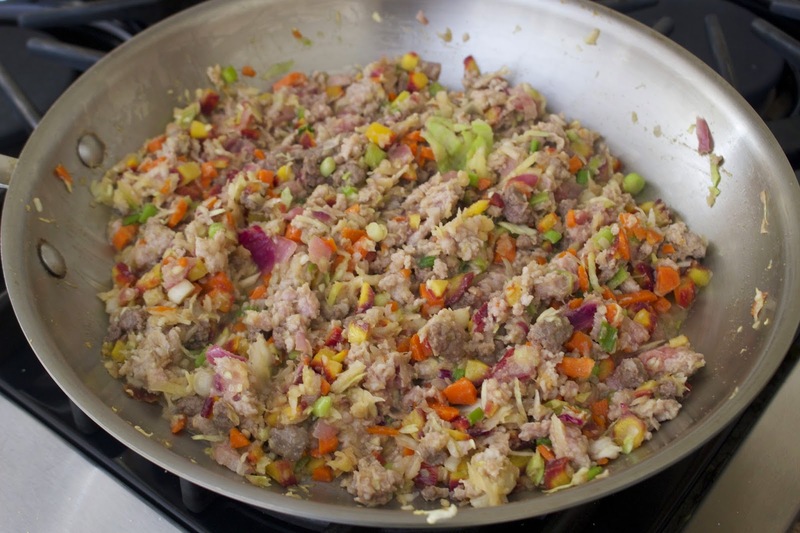 Once hot, add prepared vegetables to the skillet and sautee for 5 minutes, then add the ground pork and prepared sauce, sauteeing for another 5 minutes until the meat has fully cooked, then transferring the mixture to a large bowl. Spoon a couple tablespoons of the filling into the center of each prepared dumpling wrapper, and then fold the wrapper in half, sealing with your fingers by pressing the two edges together, and folding up the sides. Back in the skillet, heat 4 tbsp of lard on medium-heat until hot, then lower to medium-low. Place prepared dumplings in the pan on one of there sides, allowing to cook for 3-5 minutes until golden, then flipping over so they are standing straight up and down, cooking for another 3-5 minutes until golden until the bottoms are golden as well. 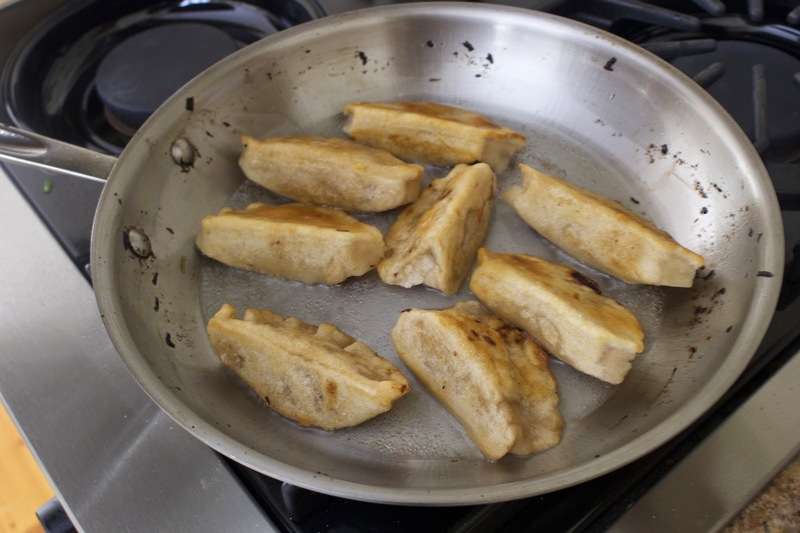 Flip the dumplings over once more onto their 3rd side, allowing to cook for 3-5 minutes until browned, then add 3 tbsp of water to the skillet and quickly cover, allowing the dumplings to cook 3 minutes more. 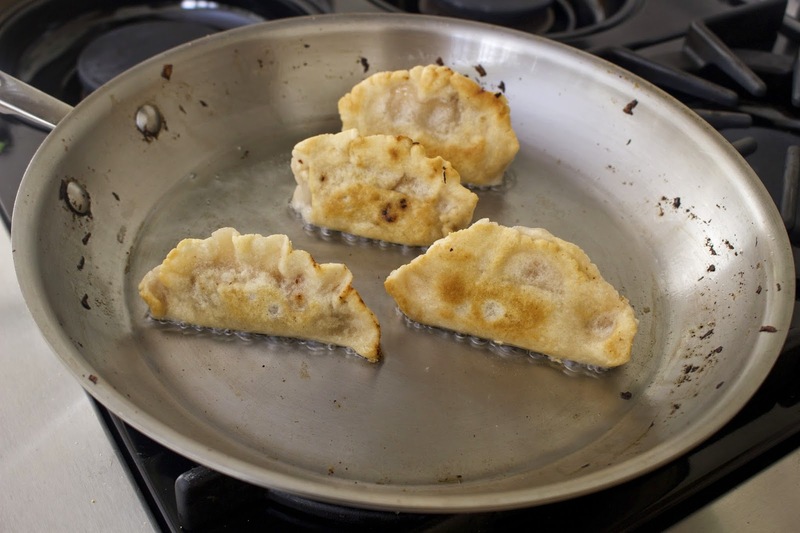 Once cooked and golden on all three sides, remove dumplings from the pan and place on desired serving platter. Dip in Coconut Aminos or your favorite sauce and enjoy! My boyfriend is on a very rigid diet and this dough is going to be a savior! Our potstickers came out amazing! Still in the experimental phase with steaming them as well. Definitely a recipe we will be using over and over again. So excited for an AIP version of dumplings! If I wanted to freeze some would you suggest I freeze them right before cooking them? What’s the purpose of freezing the wrappers? Can I fill them right after rolling them into circles? Or would they fall apart? Are these freezer friendly as well? What brand of cassava flour are you using?